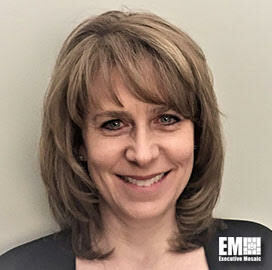 Cynthia Stuebner, defense director and industry principal at Pegasystems, told Federal News Network in a video interview aired Wednesday about the potential benefits of a no-code approach to organizations as they pursue information technology modernization efforts. “No-code, principally, is the idea that you can use an interface with drag-and-drop tools that essentially write the software for you,” Stuebner said. “When you take the no-code platform and work within those tools and systems, you can integrate into all different kinds of legacy systems that run and process transactions at fractions of a second,” she added. Stuebner discussed how the no-code approach works to help increase productivity and empower business users to define the requirements and build the applications and IT systems. She also explained how the company’s Pega platform helps facilitate collaboration between business users and IT teams in the software development process. “With the Pega platform, not only is our environment a no-code environment, meaning that we allow business users and IT to work together to develop software through a drag and drop approach, but we also generate documentation as the software is being built,” she said.